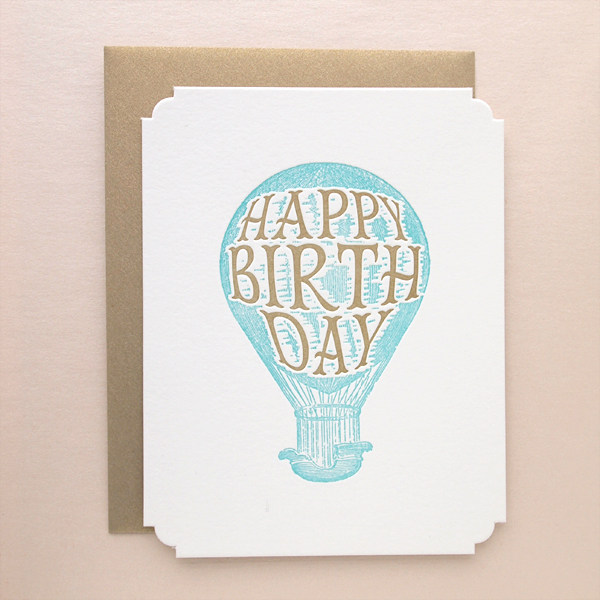 We are pleased to announce our new line of Deluxe Greetings! 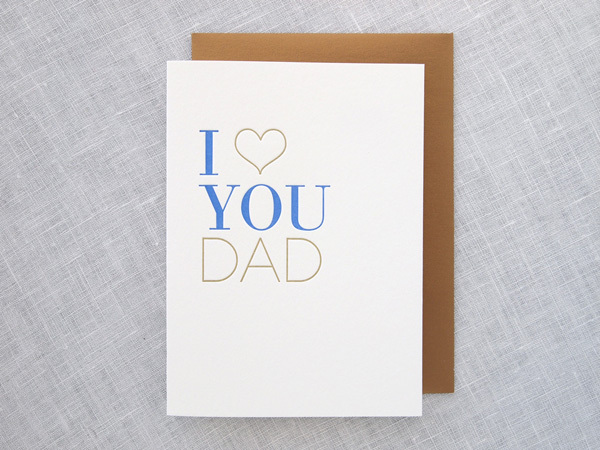 These are not your everyday cards—they feature luxurious double thick cotton paper, fancy die cut corners, deep letterpress impressions, charming designs and whimsical lettering all wrapped up in a gold envelope. 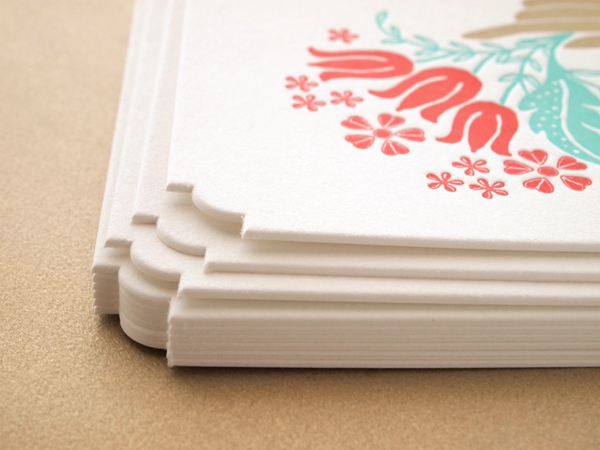 Some of them even double as miniature art prints! 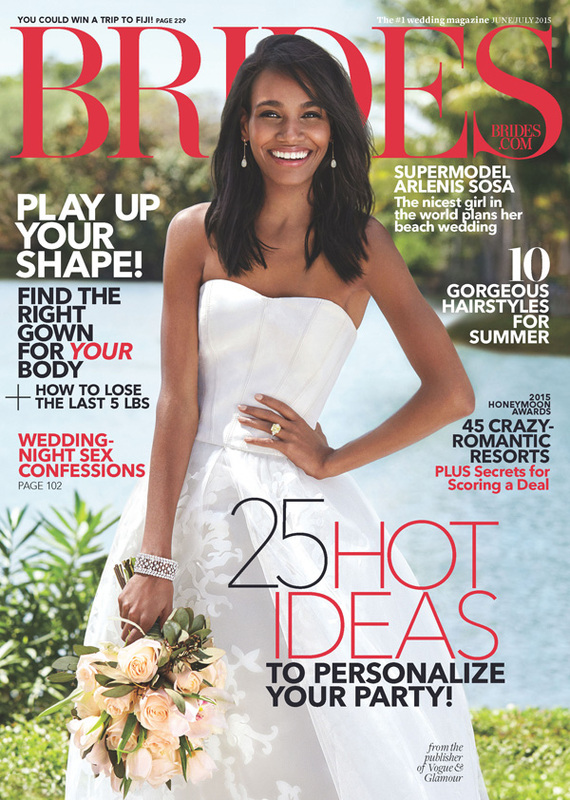 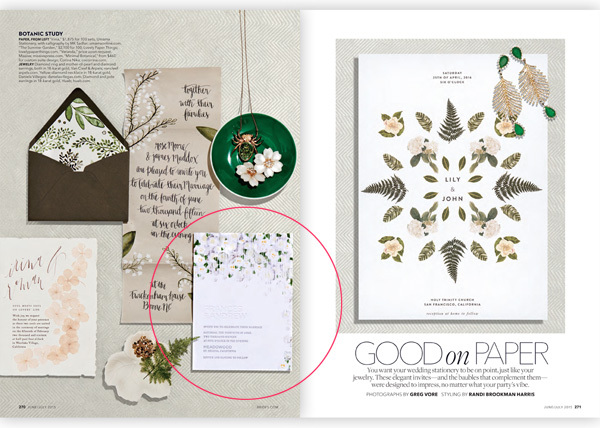 It was lovely working with the editors of BRIDES magazine on this botanical wedding invitation inspired by designer jewelry. 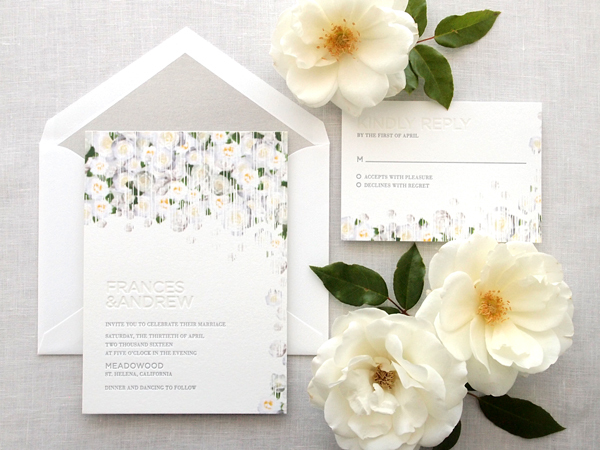 Our custom Veranda Suite featured in the issue combines blind impression and silver letterpress inks with a cascade of digitally printed white flowers and foliage—perfect for a garden wedding! 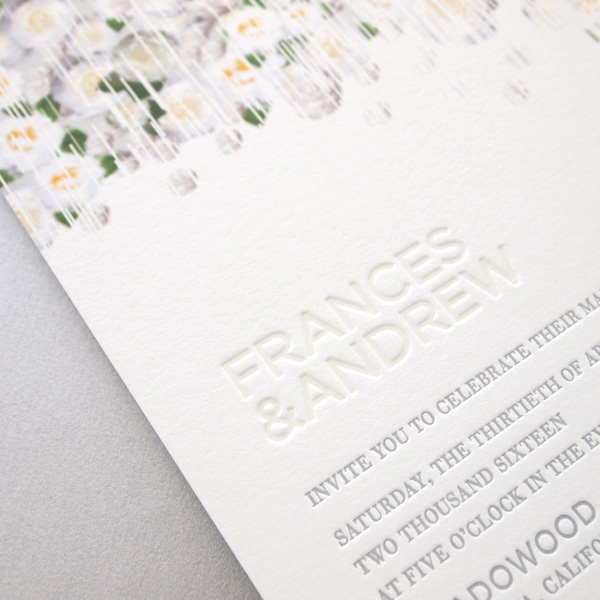 Contact us for more information or pricing on this brand new wedding invitation design. 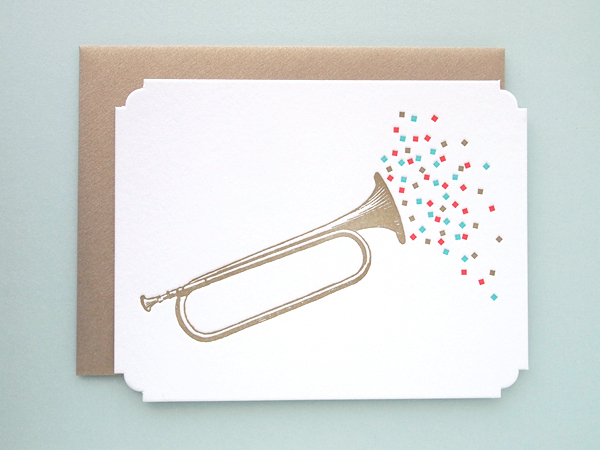 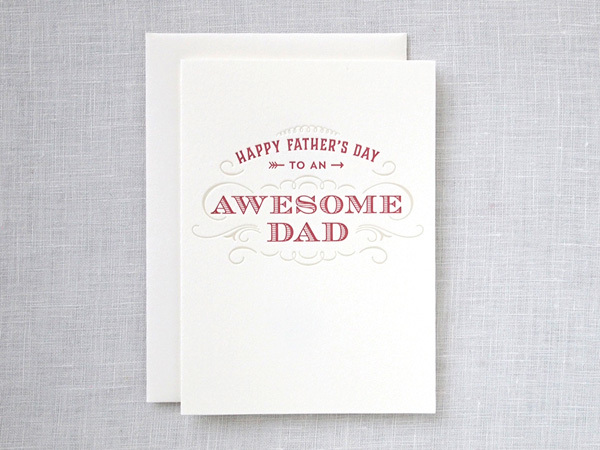 Father's Day is just over a month away, so now is a great time to order a letterpress card for Dad. 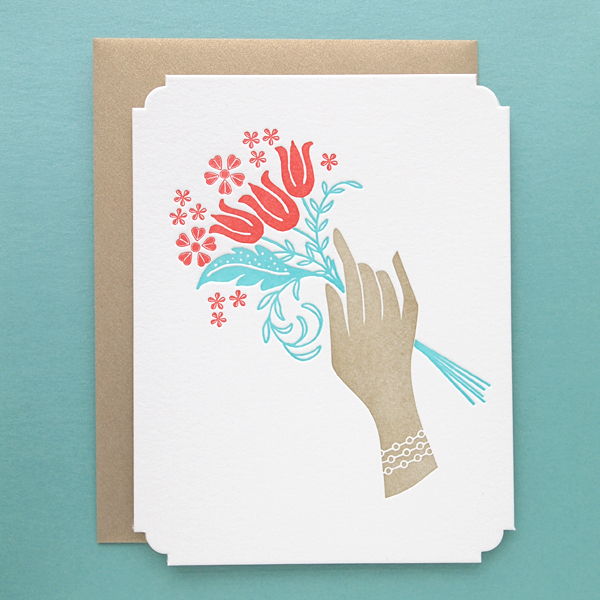 We have added three new designs to our shop this spring. 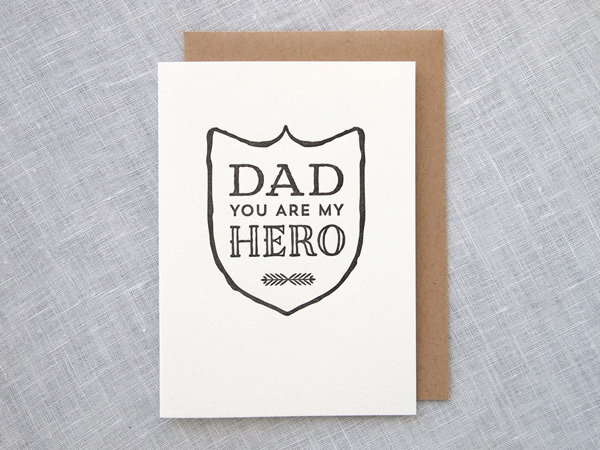 Featured below are our Awesome Dad, I Heart You Dad and Dad You Are My Hero cards. 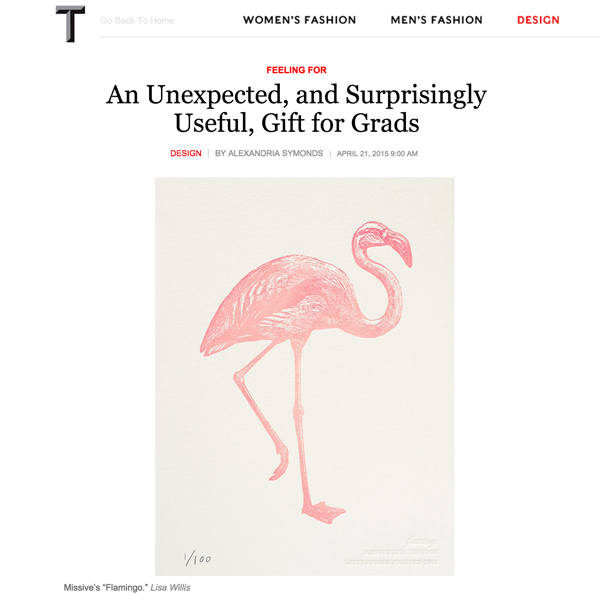 Many thanks to the always stylish New York Times T Magazine for highlighting our Flamingo letterpress art print in their recent article on the newly released Ladies of Letterpress Book. 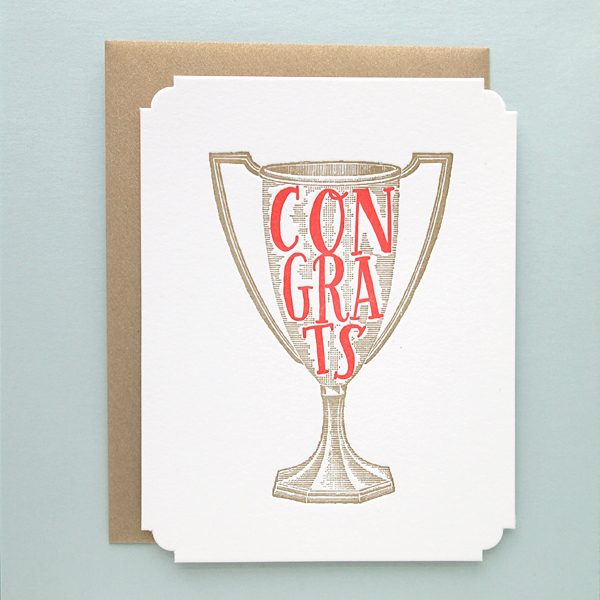 Not only would this book make an awesome graduation gift, but also the lovely letterpress prints featured in the book!